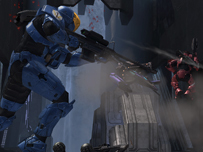 Halo 3 continues to hold onto the top spot in Australia a month after its release. The Bungie-developed shooter is the only next-gen game in a chart otherwise made up solely of DS and PS2 titles. Overall the PS2 is the victor with five top ten entries, and thanks largely to the continued popularity of SingStar games on the platform. There are two new entries this week. Crash of the Titans for PS2 debuts at No4 closely followed by Catz 2006 for DS. EA SPORTS continues its exclusive partnership with the PGA Tour and Tiger Woods, delivering the most realistic golf simulation for console golf fans. 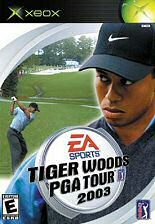 Tiger Woods PGA Tour 2003 take the fun of Sunday g..